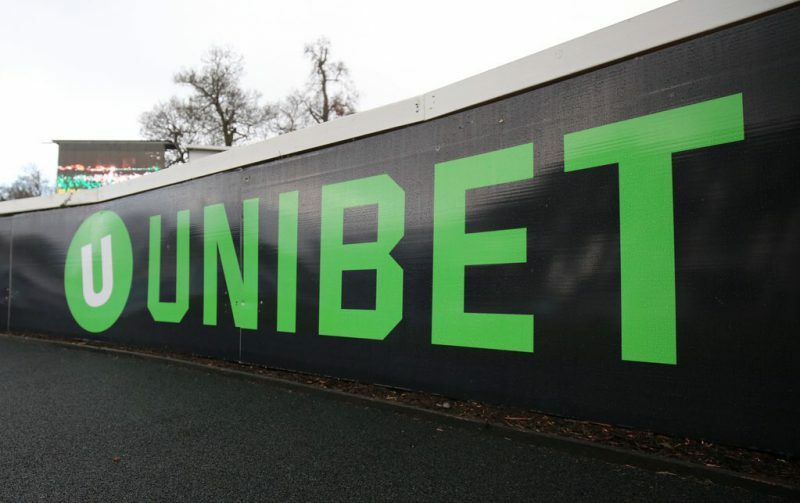 Unibet Racing’s Matt Petit has shared the biggest losers at present for the 2019 Cheltenham Festival. Some of these might surprise! There’s nothing quiet like the first race of the Festival. The buzz around the place as the Guinness flows and antepost bets are shared, dreams still in tact. A year’s worth of anticipation evaporates with the roar as the tapes fly for the first. But our traders are already dreading ANGELS BREATH doing the buisness as the Nicky Henderson trained favourite has been well backed by Unibet punters. Unleashed by the master of Seven Barrows in a Grade 2 around Christmas time, and having won a point in dominant fashion on his only other start, he quickly leapt to the head of the betting for this race. We’ve seen plenty of money for him antepost and he’s a big loser in the book on Unibet Champion Hurdle Day. There wouldn’t be a more poignant victor at this year’s Festival than LALOR for Kayley Woollacott, who took over from her late husband Richard last season. A talented bumper horse and a Grade 1 winning hurdler, he was imperious on Chase debut over course and distance back in November. With just the one run since, when beaten on horrific ground at Sandown Park on Tingle Creek Day, he’s been well looked after and this race has been the plan since the end of last year. It would be a great moment for racing, and a number of our punters would be rewarded too as we’ve seen money for this all season. What a year little TIGER ROLL has last season when he won not only this very race but also the Grand National a month later. He loves the Cheltenham Festival too, having previously won the Triumph Hurdle in 2014 and the National Hunt Chase in 2017, and punters have turned to proven Festival form again by backing Elliott’s charge to retain the Cross Country Chase on the Wednesday of Cheltenham. To be fair, it’s a level weights race and he did it easy last year…. Unibet punters will be hoping it’s a good end to the day for Gordon Elliott as ENVOI ALLEN is our best backed horse on the second day of the Cheltenham Festival, and this was before he won at the Dublin Racing Festival at Punchestown last weekend! The unbeaten £400,000 point purchase has done everything asked of him and is now a Listed and Grade 2 winning bumper horse. It looks to be all systems go for the Festival where he is currently favourite and our traders are hoping something (anything!) can come out of the pack and scupper him! Thursday has been a bit quieter so far but MIN for the Ryanair is the big loser in the book. Take Altior out and he’s essentially a Supreme and Champion Chase winner on his two starts at the Festival so you can see the angle punters have taken. The Ryanair looks one of the races of the week but there’s certainly nothing of Altior’s level in the race and if connections opt to go this route it’s very likely he’ll go off at the head of the market, right where he is now. He looks a solid play – a class horse with a good record at the track. Perhaps somewhat surprisingly our biggest loser of the week is AL BOUM PHOTO in the Cheltenham Gold Cup. He’s a Grade 1 winner over fences (and might have had two but for that finish at Punchestown last April) and won his only Chase start of the season thus far, so he looks an improving and unexposed type. That said he still looks to have something to find with Presenting Percy and co and so it comes as a bit of a surprise that he’s the biggest loser in the book at the moment. This is bound to change as the best week of the year nears but for now he’s the one the traders want to see beat more than any other! SHANTOU FLYER was touched off only a neck in a Festival handicap last year running off of 152 and he looks to have been purchased by Mr David Maxwell with this very race in mind. He was uneasy in the market when beaten on his only start for his new owner but that day was unlikely to be the plan. The case for him is obvious but there’s a few other good ones and it’s bound to be a competitive race.